Our series of tips to help you leverage the power of design and creativity to grow your business. This week: 09. 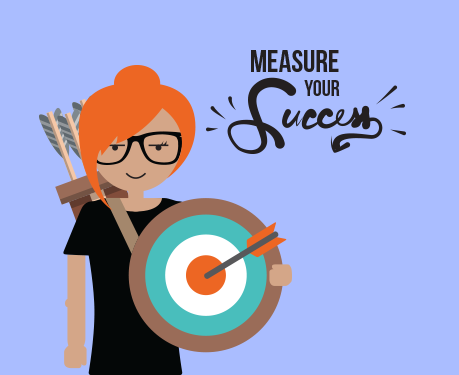 Measure your success. Remember what we said about how important it is to get the brief right? Yeah, well here’s another reason. The clearer the objectives in the brief, the easier it will be to measure the value of your design investment. If you get the increased take-up you wanted on your website, or if you reduce time to market through your new production process, then you know your investment has delivered. But some projects are more difficult to gauge. How will you know when your corporate rebranding has succeeded? Or how can you be sure workplace culture has improved because of your office redesign? But even here it should be possible to agree some quantifiable measure so you can plot the project’s effect on your business. Some measures will be no different to ones you would use for any project. Did you meet the ultimate project deadline? Did you go over budget and, if you did, why did it happen? Did sign-off take longer than planned? Were there hidden charges you weren’t expecting? Analysing the reasons for any mishaps will provide valuable insight for your next design project. And if this was your first then try to monitor its effects on internal relations or working practices. Taking on board new ways of thinking and collaborative working may have many unforeseen results beyond the measures of success set out in the brief. Many clients find a change in their own perspective on their organisations when they have been through a significant creative process with a good design team. Decision making may become more effective, relationships among the team may alter and procedures for working with suppliers may improve. Next week: 10. What next?